Welcome back to our channel! If one were to think about the two most famous men in history, few would contest that they are the Prophets Muhammad (s) and Jesus (as). They are the most famous as they were the most influential figures in human history. Just by doing a google search, you will see that in the English language searches, Jesus has 29.5 million searches a month along side the Prophet Muhammad (s) who is searched 13.6 million times a month. If we speak about women, no one can doubt that Mary (as) is the most famous and influential woman in the history of the Western world. But much of the perception that exists concerning Jesus, especially in the Christian world, is that of his divinity. In other words, Jesus is not only the son of God, but he is also God in so far as he is the second person of the divine trinity, namely the Father, Son, and Holy Spirit. This thus makes Mary “the mother of God” according to this understanding. Islam, which is the world’s second largest religion, does not believe in any of this. For Islam, Jesus is neither the son of God nor is he God. Islam does not believe God has sons and it does not believe in the trinity. God is absolutely One and Jesus is simply a Prophet of God who was created by the the Almighty. 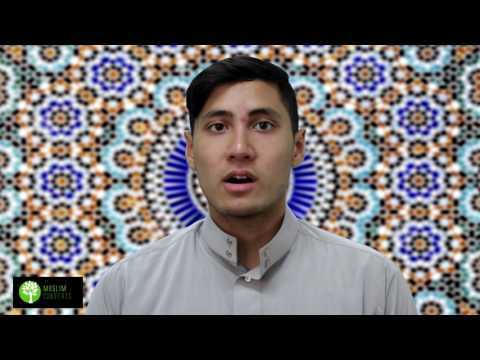 In this lesson, we will look into the place of Jesus in Islam as well as his mother, Mary. The Arabic rendering of Jesus is ʿĪsā and the Arabic rendering of Mary is Maryam. According to Islam, Jesus is not God, which means that Mary is not the mother of God either. Furthermore, Islam also denies the concept of the Trinity. The Trinity is the belief that God has three persons, the Father, Son and the Holy Spirit. Islam believes that God is wholly One, in other words, He is undivided and has only One Person. If Jesus is not God, then what is he? According to Islam, Jesus is a Prophet and Messenger of God. He is not only a Prophet, but he is one of the greatest Prophets of the religion of Islam. As a Prophet and a Muslim (a Muslim is someone who submits himself or herself to God), Jesus guided people on to the Straight Path to Allah. The straight path to Allah means worshiping God in His Oneness and Unity, avoiding sins, having good moral character (akhlaq) with people and holding firmly to the unity of the Muslim community. Jesus taught people through the Injīl or Gospel which was revealed to him by Allah. As Muslims (and here we mean by those who follow the shahāda), we believe the Injīl to have been a divinely revealed Book, however, we do not believe it remained unchanged but its message was, over time, changed. Belief in Jesus and Mary, as well as in the original Injīl, is part of Islamic doctrine and without belief in them, one cannot be a Muslim. Mary was not like other women. Like an exalted Prophet of God, the Angel Gabriel had revealed himself to her communicating the message of Allah to her directly. Although most Muslims do not consider her a prophetess, due to her high status with God, a minority of Muslims historically believed that she was indeed a prophetess. The divinity of Jesus insofar as God being Jesus or Jesus being part of a Divine Trinity. Islam rejects this belief. Islam believes that Jesus did not abolish Judaic law or its ritual practices. He merely fulfilled it by reviving the spiritual and moral implications of the law. For example, Jesus explained that it was not enough for adultery to be banned, lustful looking at another person was also adultery, although in the heart. According to Islam, Jesus taught that outer practice had to be accompanied by inner sincerity, and not that outer practice was to be abolished. The Arabic rendering of Jesus is ʿĪsā and the Arabic rendering of Mary is Maryam. According to Islam, Jesus is not God, which means that Mary is not the mother of God either. Furthermore, Islam also denies the concept of the Trinity. The Trinity is the belief that God has three persons, the Father, the Son and the Holy Spirit. Islam believes that God is wholly One, in other words, He is undivided and has only One Person. If Jesus is not God, then what is he? According to Islam, Jesus is a Prophet and Messenger of God or Allah. He is not only a Prophet, but he is one of the greatest Prophets of the religion of Islam. As a Prophet and a Muslim (a Muslim is someone who submits himself or herself to God), Jesus guided people on to the Straight Path to Allah. The straight path to Allah is worshiping God in His Oneness and Unity, avoiding sins and having good moral character. Jesus taught people through the Injīl or Gospel which was revealed to him by Allah. As Muslims we believe the Injīl to have been a divinely revealed Book, however, we do not believe it remained unchanged but its message was, over time, changed. Belief in Jesus and Mary, as well as in the original Injīl, is part of Islamic doctrine and without belief in them, one cannot be a Muslim. Mary was not like other women. Like an exalted Prophet of God, the Angel Gabriel had revealed himself to her communicating the message of Allah to her directly. Despite this however, mainstream Islam does not consider Mary to have been a Prophetess. Is Jesus God in Islam? No, Islam considers him a Prophet and Messenger only. Does Islam believe in the Trinity? No, Islam believes in Tawhīd, meaning that God is One Person and not Three Persons. Does Islam believe Mary was the Mother of God? Since Islam does not consider Jesus to be God, naturally then Mary is not the Mother of God either. What was Jesus’ Divinely Revealed Book? According to Islam, was the Injīl changed over time? Yes, its original message was distorted, although some of it still remains.